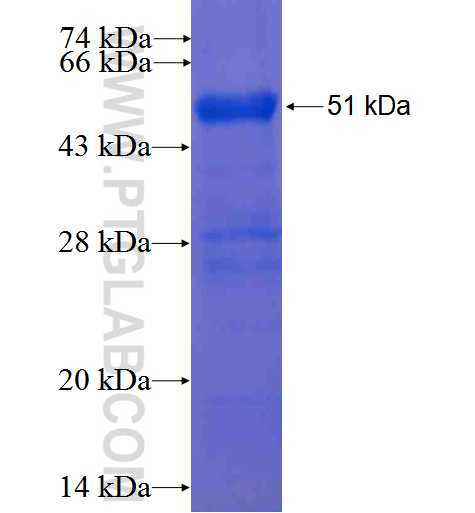 The purified protein was resolved in 1M PBS (58mM Na2HPO4,17mM NaH2PO4, 68mM NaCl, pH8. ) added with 100mM GSH and 15%glycerol. The product is shipped with ice packs. Upon receipt, store it immediately at -20°C to -80°C. Aliquot and store at -20°C to -80°C for up to 6 months. Avoid freeze thaw cycles.